A selection of Norwegian Codfish products. Traditionally processed with excellent quality standards. Dried salted cutlets packed in trays. Ideal for ethnic supermarket or grocery store rack. Several options available. A selection of Norwegian dry salted fish. Makayabu, Ambassade, Sole and much more. Salt cod by Northern Fish is more than just tradition. It’s a tasteful delight! Made from wild caught Norwegian fresh fish. Processed on sight at our facilities in northern Norway. Directly from the fishing line to you! We assure quality salt fish products and service. Producing traditional saltfish for the world! Try our delicious Salt Cod! Our salt cod fish is a fishmongers delight! Wild Caught, with sustainability! Atlantic freshness! Products include Norwegian salted cod and many other whitefish salt fish. Total control on processing and quality, with tailor made solutions for your business. From the cold arctic waters we obtain the best quality fish. We’re the saltfish specialists! 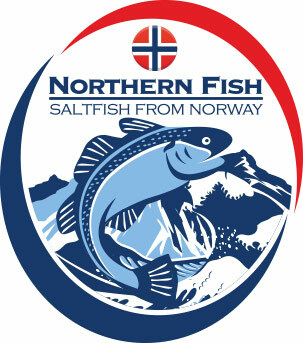 Northern Fish Company aims to serve every market, therefore salting fish to your requirements is our main goal. From Jamaican salt fish to the Portuguese bacalhau, we make it happen! Our product range includes Makayabu, Ambassade, Sole and other salted fish for African and the Caribbean! Our salted fish is a delight in many countries throughout the world, like Suriname, French West Indies, Jamaica, Dominican Republic and others. For further information please visit our Ethnic and Exotic saltfish page. Being Salt cod a major product, so several options are available. Ideal solutions and products for Portuguese, Spanish, French, Italian and Greek markets. Northern Fish quality salted cod processed from selected Norwegian fresh fish. In addition, it’s made with much quality, some technology and applying ancient handmade curing methods. We apply to our salt cod the most traditional curing methods, and consequently end up with a delicious and memorable salt cod! Northern Fish Salt Cod a handmade tradition! We invite you to visit our website where you may find our salted codfish and all our other saltfish. For additional information please do contact us, we are at your total disposal! We aim to serve! Dom Bacalhau brand is a specific brand for Portuguese traditional salt cod, probably the most delicious you may taste. Northern Fish brand includes all species and products of our range. Throughout our website you may find several options regarding our range of products, however we offer many others: individual packaging; Christmas baskets; cut to size; specific parts of the fish like salt cod loins; we are capable of supplying anything you require regarding saltfish. Due to the extensive options available only a small part has been included on this website. If you require specific scientific or technical information on salt cod or other salt fish, please check our website it may just be posted, if not you can contact us directly we are glad to help. Desalt salt fish the easy way! Soaking salt fish tips and tricks.